Antonio Guterres says a ceasefire in Syria’s Idlib is a necessary step to pave the way for a nation-wide ceasefire. 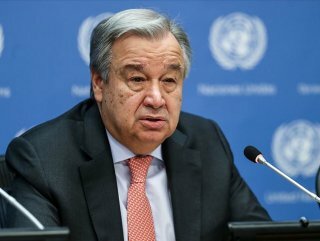 UN Secretary-General Antonio Guterres has urged all parties involved in the Syrian conflict to maintain their commitments and uphold the ceasefire arrangement in the country’s northern Idlib province. 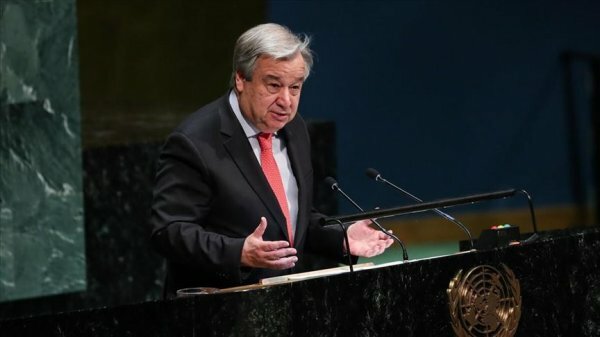 In a written statement released on Friday, Guterres said: “I am extremely concerned about reported increased military operations in the last few weeks. Counter-terrorism operations cannot override responsibilities to protect civilians," he said. "A ceasefire in Idlib is a necessary step to pave the way for a nation-wide ceasefire." "IT IS A MORAL OBLIGATION"
Regime attacks in Idlib’s de-escalation zone, in which acts of aggression are expressly prohibited, are believed to have killed at least 138 civilians since the start of the year. Along with regime artillery barrages, Russian SU-34 warplanes struck central Idlib and its rural outskirts, leaving 15 dead, including eight children, the White Helmets civil defense group said Thursday. “It is a moral obligation and a political imperative for the international community to support Syrians to unite around a vision for their common future that protects civilians, alleviates suffering, prevents further instability, addresses the root causes of the conflict and forges, at long last, a credible negotiated solution,” the UN chief noted.